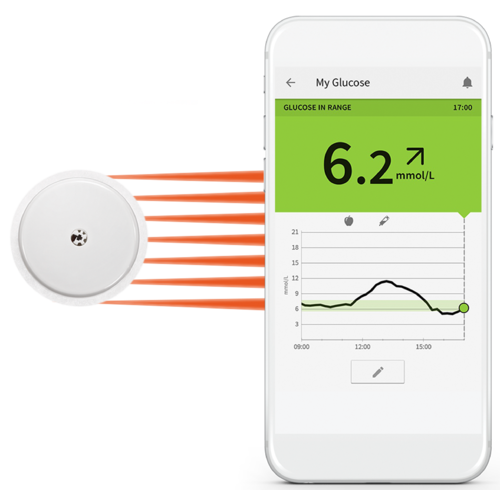 Abbott has announced that their FreeStyle LibreLink App is now available in Australia, and can be used to access glucose data directly from a smartphone. Utilising their phone’s near-field communication, the FreeStyle LibreLink app enables users to hold their smartphone near the FreeStyle Libre sensor to capture and view their real-time glucose levels, their eight-hour glucose history, and monitor how their glucose is currently changing. Users can also easily add notes to track food, insulin use, medication and exercise. “Being able to check my blood glucose levels with my phone is a complete changer. Together with a digital wallet, it means I can now walk out the door with nothing other than my phone,” said FreeStyle LibreLink user, Simon, aged 41 from Port Melbourne, Victoria. Customers using the FreeStyle LibreLink app will have access to several updates and new features in comparison to the FreeStyle Libre reader, including a later, high-resolution display, text-to-speech capabilities for glucose readings, the ability to log smaller doses of insulin and support for 26 languages. While the app can replace the reader for routine glucose testing the two can also be used in combination with each other. FreeStyle LibreLink users have the option to share their information through LibreView, a secure, cloud-based diabetes management system that enables the patient to share their glucose insights with their healthcare professional. “The FreeStyle Libre Flash Glucose Monitoring System has proven to be highly popular for people with diabetes who require insulin treatment, both in its great convenience and in the reassuring detailed information it provides - in monitoring real time glucose trends and in the summary data assembled,” said Professor Stephen Twigg, Head of the Department of Endocrinology, Royal Prince Alfred Hospital, Kellion Professor of Endocrinology and Stan Clark Chair in Diabetes. The FreeStyle LibreLink app can be downloaded for free on both iPhone and Android devices in Australia.